Sonali Roy Bhattacharya has a birthday today. 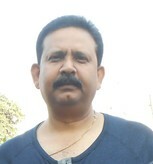 Rajiv Kumar Sinha has a birthday today. Rajesh Sunda Sunda posted a message. A very Happy BDay to You Susmita..
Can we update Carmelites details of Juniors and Seniors atleast for Delhi NCR areas. This is Rajesh Sunda carmel/Hoxa68 batch...with parental place Dhanbad. would be pleased to share contact details..will be in Dhanbad from 3rd to 5th JAn18. what are you USA status ..keep in Communication ..alive ! ..a very Happy BDay to you Alka and all the Best for the Future...Keep the CArmel Communication alive !! Dear Durgesh, a very Pleasant Bday Celebration be yours on 29th Feb (it does not come quite often!!!) -nice to note You r active on the Carmel site.